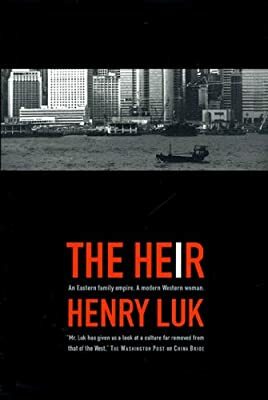 Author: Luk, Henry Set In . . .
Hong Kong-a marriage of East and West, where the old blends with the new, where ancient Chinese culture and civilization linger below towering structures of steel and concrete. Beth O'Connor, former US Olympian and Harvard graduate came to Hong Kong the wife of the heir apparant to the Chang family empire. Hated in a culture where appearance is everything and the patriarch's opinion is revered by all, Beth has gone from being the pride of America to the white devil of China. But, the Chang Empire is crumbling. The patriarch has suffered a stroke. Partially disabled, the patriarch needs a steady hand to guide the empire through the Asian financial crisis and the blackening cloud that looms over his empire. Michael, eyeing the throne, becomes more and more impetuous, leaving Beth alone to attempt to hold the family and the empire together in a world that would have no qualms betraying her.